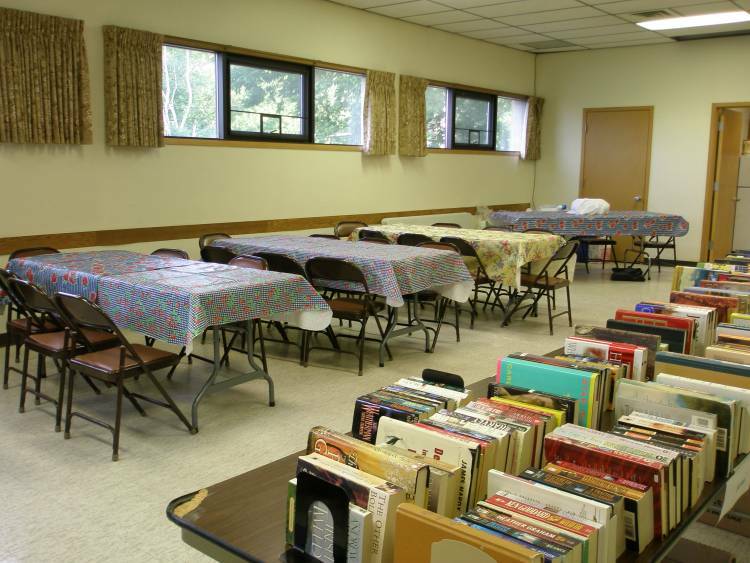 The food has been eaten and the books have moved on to new owners–another successful sale for the Friends of the Howard Lake Library. With you, the community’s, help, the Friends reached their matching funds goal. Thank you to Thrivent for recognizing the good work the Friends do for the Howard Lake library. The money will be put to good uses. 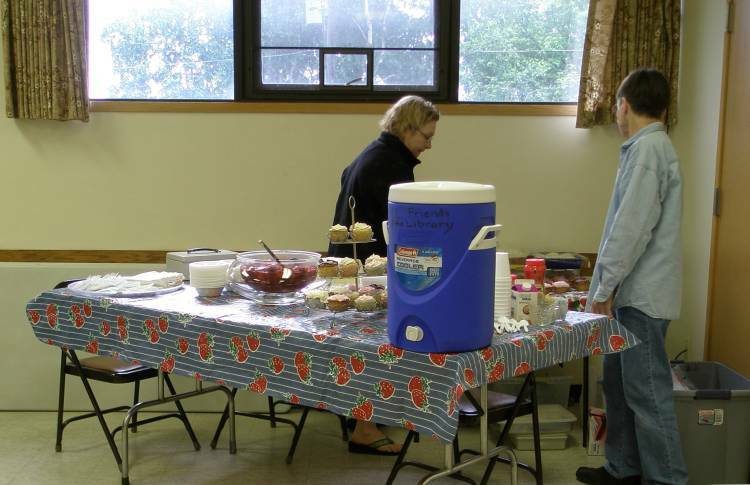 We again served sloppy joes and strawberry shortcake. 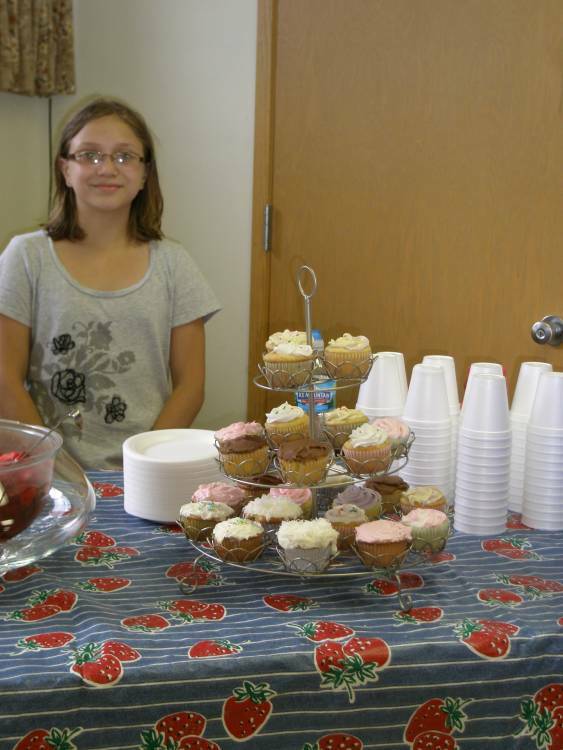 A new twist this year was cupcakes! 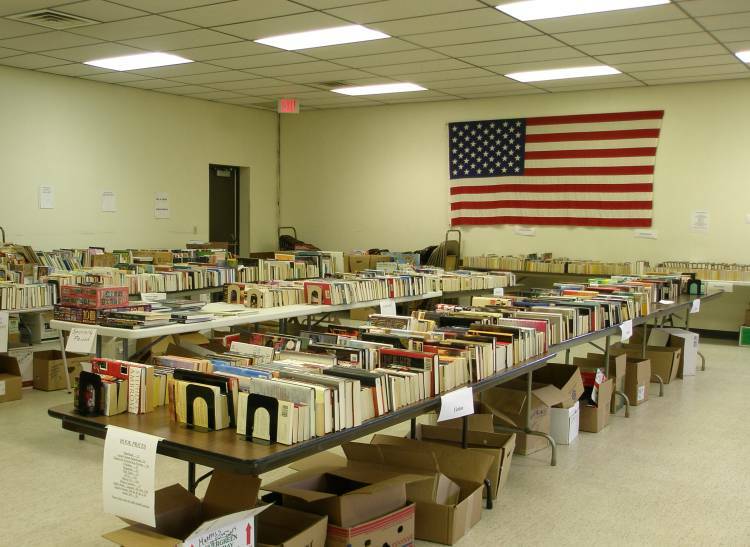 There was an incredible variety of books offered for sale this year. We hope you found some treasures. Remember, we will do it again in 2012 during Good Neighbor weekend. See you there. Here are just a few photos of the event.